A report claims that Chelsea want Barcelona's Philippe Coutinho to replace Eden Hazard, who is expected to join Real Madrid in the coming months. Atletico Madrid fail with an approach for Real Madrid midfielder Mateo Kovacic, according to a report. Sports Mole looks at how Chelsea could line up against Burnley in Monday's Premier League clash at Stamford Bridge. Sports Mole rounds up Chelsea's latest injury and suspension news ahead of the Premier League encounter with Burnley on Easter Monday. Chelsea head coach Maurizio Sarri says that Olivier Giroud will be staying at Stamford Bridge for at least another season. Relive Sports Mole's live coverage as Chelsea reach the Europa League semi-finals courtesy of a 5-3 aggregate win over Slavia Prague. Sports Mole rounds up Chelsea's latest injury and suspension news ahead of Thursday's Europa League quarter-final second leg against Slavia Prague. Chelsea face Liverpool at Anfield on Sunday, where they can spoil the Reds' title ambition for the second time in five years. Blues supporters have been involved in several unsavoury incidents this season, including a social media video racially abusing Mo Salah. Sports Mole rounds up Chelsea's latest injury and suspension news ahead of Sunday's Premier League encounter with Liverpool. The Chelsea manager was hoping to keep the Belgian fresh for the Premier League clash against Liverpool. Marcos Alonso scores four minutes from time to give Chelsea a 1-0 win over Slavia Prague in the first leg of their Europa League quarter-final on Thursday night. Relive Sports Mole's live coverage as Chelsea register a late 1-0 win over Slavia Prague in the first leg of their Europa League quarter-final. The former Leicester midfielder has not featured at all under head coach Sarri at Chelsea this season. A report claims that Chelsea will not sell Eden Hazard to Real Madrid for anything less than their £100m asking price, despite the Spanish club's reluctance to pay. Bordeaux reportedly ask about the potential availability of Chelsea forward Olivier Giroud. 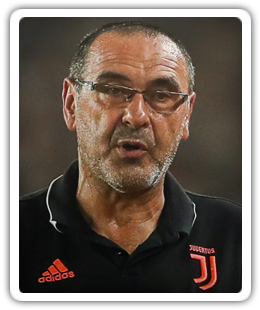 Sports Mole rounds up Chelsea's latest injury and suspension news ahead of Thursday night's Europa League quarter-final first leg against Slavia Prague.